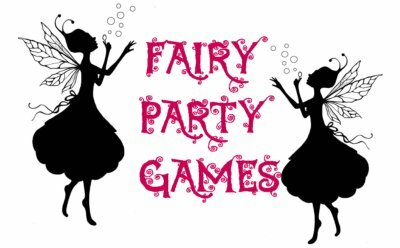 Fairy Party Games ~ Top 10 fairy games for your little fairies Birthday party. Below you will find my collection of fairy party games. 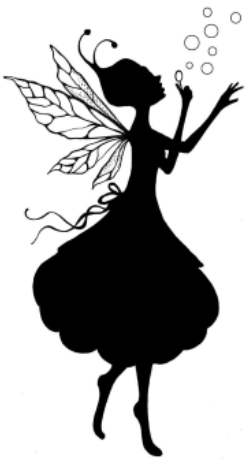 At some point in time most little girls have a fascination with fairies, those of us who are lucky never grow out of it. If your daughter is dreaming of a fairy birthday party, these enchanting games can add that extra magic to her big day. As the music plays the fairies must do their best to keep the wuzzles (balloons) in the air, when the music stops all the girls must grab a balloon and hold it in their hand. Call out a color, whoever is holding that color balloon gets a small prize. Play until all the fairies have won a prize. - spin around and clap yelling “I believe in fairies”. - crabwalk across the floor. - sing your favorite song in a funny voice. - pat your head while rubbing your tummy. The little fairies will be giggling the whole way through these fairy fun obstacle course games as they leap on mushroom tops, dash through the hollow tree, blow some bubbles, and face fun challenges. -	Buy hard plastic bowls from the dollar store and paint the outside of the bowls like mushrooms. Create an obstacle where the children must use the mushrooms (bowls turned upside down) as stepping stones to get to the next obstacle. -	Stop and blow some bubbles through a hula hoop. -	Climb through the hallow log (this is great if you have one of those toy collapsible tunnels). -	Jump on a pile of pillows and cushions (always a fun finale). 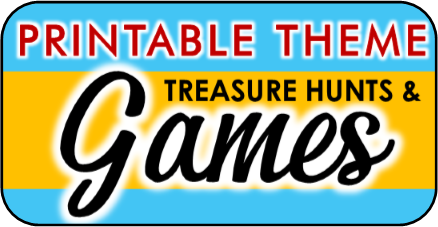 I created this printable game myself as one of my printable treasure hunt games. this game is easy to print and fun to play. Hide all the fairy items and assign each girl a fairy. They must then find all the items that belong to that fairy. All the fairy items are the same color as the fairy it belongs to so the players know whose is whose. While the music is playing, the fairies pass around a special treasure wrapped in many layers of fairy wrapping. When the music stops the fairy caught holding the treasure must unwrap another layer of fairy wrapping off. The game continues until one of the little fairies unwraps the last layer and discovers the treasure. The treasure is shared with all the fairies. All the fairies lie down on the floor with their eyes closed as if they were sleeping. One fairy moves around the "Sleeping Fairies" and encourage them to wake (move, laugh and giggle). She cannot touch the fairies, but can move close and tell jokes. Any fairies that wake can join the first in trying to wake the others. The last fairy to wake is the winner. The fairies must race to return the baby bumblebees to their hives (bowl). For bee’s I used lima beans painted with black and yellow stripes. Each team gets a spoon and enough bumblebee’s for each player. On the start of go one player from each team places a bee on their spoon and rushes it over to the hive without dropping it. If they drop it they must start over. The player then runs back and passes the spoon to the next player. The team that finishes first wins. 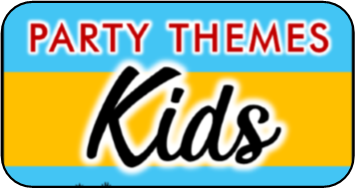 This is one of the most popular among the fairy party games. The little fairies must chase the Gnome and try and tag him/her with their fairy wands. When the Gnome is touched with the wand his/her legs freeze up, and she must throw out candy to be released from the spell. This game continues until the gnome runs out of candy. This fairy party game is a wonderful twist on the piñata. You’ll need to have a gnome volunteer ( this should be an adult, simply because it makes it more fun). You’ll also need candy and wands. 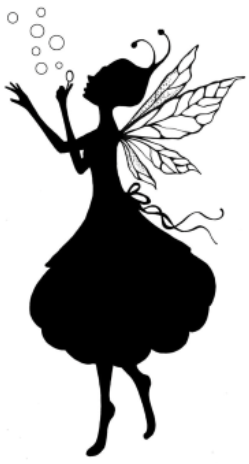 Print out a picture of a different colored fairy for each guest, and glue these on an index card. Print out or make five flowers to match each fairy color you have. Hide the flowers throughout the playing area. 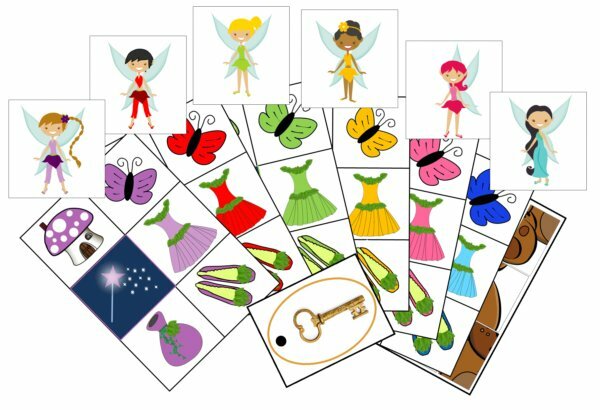 Have each player pick a fairy and hunt down the flowers that match her fairies color. This is a great non competitive game. Everyone wins!